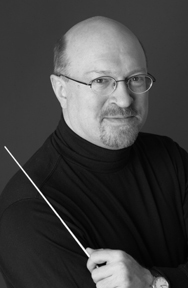 David Maddux: Bio & Choral Music | Santa Barbara Music Publishing, Inc.
David has served as resident music director of Seattle Civic Light Opera, and has acted as consultant to Disney Entertainment. He has arranged and orchestrated revues and materials for Harvey Fierstein, Rosemary Clooney, Lily Tomlin, Lesley Gore, Frederica Von Stade, Armistead Maupin, Ann Hampton-Callaway, Judith Martin ("Miss Manners"), and Nell Carter. His a cappella jazz vocal creation, "An Evening In December" was nominated for a Grammy Award. Recently he completed a filmscore for the indie film, Creatures From The Pink Lagoon, soon to be released. David lives in Seattle with his partner of thirteen years and two neurotic cats. In the mid-90's, he took a year off from writing and arranging to attend Seattle Culinary Academy from which he emerged as a trained chef. Each of his musical endeavors now contains a hidden recipe. David Maddux has 1 titles published with Santa Barbara.